Are you living in the stunning Perth’s suburb called Ashfield which is located along the Swan River and suffering with junk vehicle problems? 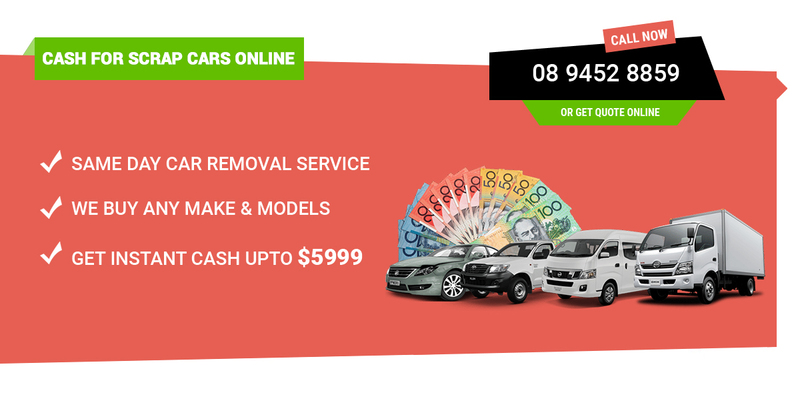 Car Wreckers Ashfield 6054 @ PerthAutoWreckers would love to help you to get rid of your unwanted vehicle for free of cost and we even pay you something to kick-start your next vehicle purchase. We can remove your vehicle same day and fast because our scrap car yards are just 18 Minutes away from you which can be accessed via Tonkin Hwy. It may have come to your attention lately that the junk vehicle slowly rusting away on your lawn is actually worth money. Perhaps you realised this when you were thinking about all the parts of it that were still in usable condition. But you are not a mechanically minded individual and wouldn’t know the first thing about dismantling a car. Well, that is what we are for! We are Perth Auto Wreckers and we can dismantle your car and sell the parts and scrap metals. First, we will have to buy the car off you. All you need to say hello to our crew today. We want to make it well worth your while to sell your car to us, and that is why we make sure we provide the best cash offers in all of Ashfield. The maximum we pay for used cars is $10K. We work out the value of any vehicle by taking into consideration the make, model, age and condition the vehicle in question is in. If you would like a quote, you can get one by getting in touch with us. It is easy to do this. Call us or visit our website and complete the form on the main page. Tell us the above details. And we will get back to you as quickly as we can with a free quote for you. We buy all types of automobile, including trucks, SUV’s, vans, Utes, 4×4’s as well as cars. And when we buy them, we don’t make our customers pay for the removal like other cash for cars services do. Instead we turn up at a pre-arranged time, pay top cash on the spot. And then we take on the task of removing the vehicle ourselves. And we charge no money for this job at all! It is done for free, and don’t worry, we won’t hide the cost by paying you less money for your car either. That is an under-handed dirty trick that other companies employ, not us. Note – We pickup vehicle that can be dropped as well, just to save your time and money. This should come as a huge surprise to anyone who is used to cash for cars-companies that only buy certain vehicle brands. Of course, there are still a few who buy all makes and models, but they are few and far between. And we are definitely one of them! So if you have a vehicle that needs selling, and you live in Ashfield. Rest easy knowing that you can sell it to us regardless of what manufacturer is responsible for making it. We buy BMW, Audi, Daewoo, Daihatsu, Chevrolet, Chrysler, General Motors, Ford, Fiat, Isuzu, Hyundai, Honda, Holden, Kia, Jeep, Mitsubishi, Mazda, Mercedes Benz, Lexus, Opal, Nissan, Suzuki, SsangYong, Subaru, Peugeot, Renault, Skoda, Volkswagen, Toyota, and so forth. Along with that we are also in the business of buying junk cars. This is how you can be sure that you will be able to sell your vehicle regardless of what condition it is in. We deliver the used spare parts across Ashfield 6054 and an immediate area. Freight charges may apply. Give us a buzz to find out the price of the spare part, no charge for getting a quote. Ring Us Now @ 08 9452 8859 or Fill a quote form on our website now and get an instant quote today. Car Wreckers Ashfield 6054 crew is always looking forward to serve you better.